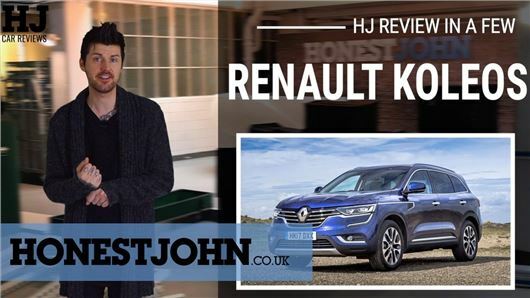 The latest Renault Koleos is a very decent SUV. In fact, we ran one for six months and liked it quite a lot. Mark didn't get on with it that well though. Hit play above to watch the video review and find out why. Still waiting for them to sort it out!! Irrelevant video. I wonder why anyone buys a French car anyway. We did! We have a Pug 3008, besy car I've ever had actually. Oh, we also have a Pug 207, excellent, reliable runaround and bery reiable. Sorry, typos galore, best, very and reliable. Quite amusing and entertaining to watch. Jeremy Clarkson when he was not boring. I enjoyed the video and watched it. Is a bad car at £30,000 a good car at £20,000? And do you have anything for £4,000?